1. Backlight, so that the display can be read even under dim light conditions. 3. AC adapter is included so that you save money on batteries. 4. TrueRead feature that takes 3 consecutive measurements then averages the results. To improve measurement accuracy, you should not measure your blood pressure within 30 minutes of exercising, eating, smoking, drinking alcohol, or bathing. You should also sit quietly for 5 minutes and then wear the measurement cuff at the same level as your heart. 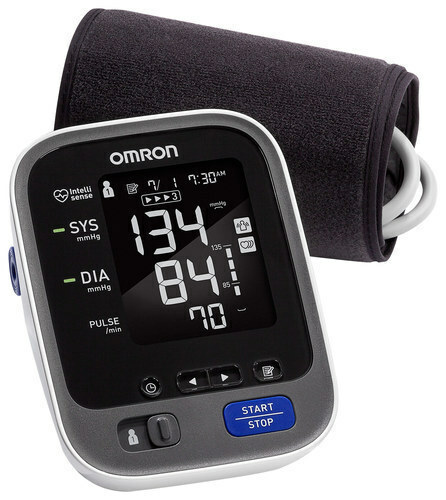 The Omron 10 Series home blood pressure monitor with Omron’s Advanced Accuracy helps ensure consistent, precise readings. With the touch of a button you can learn all you need to know about your blood pressure, and be assured your numbers are accurate. 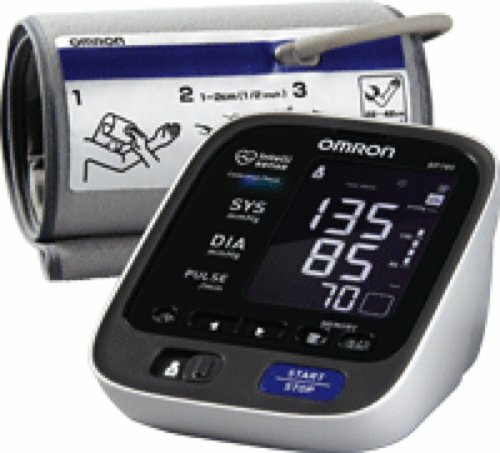 This blood pressure monitor from Omron does it all. The BP785 is the most feature rich blood pressure monitoring device on our list. One of the best things about this gadget is that it double checks each result, which lowers the chance that it’ll display a false alarm. Detects irregular heartbeat patterns. This monitor’s advanced computer algorithms can read your heart pattern and find out if there’s anything abnormal happening. No false alarms. The internal computer double checks each result, ensuring that you won’t be alerted to a problem unless there’s really something wrong. Advanced calculation features. Like several other blood pressure monitors on our list, this one automatically averages your latest heartbeat measurements together. Displays hypertension alerts. If your blood pressure spikes, the display will let you know you that it’s time to relax. 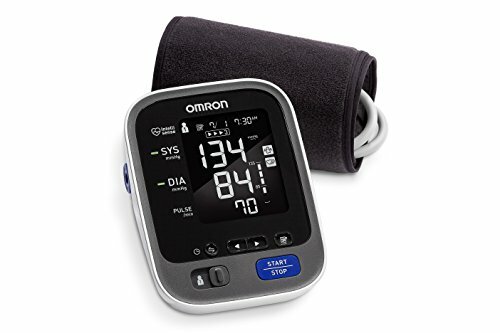 The Omron 10 Series® Wireless Bluetooth home blood pressure monitor has all the features of our 10 Series monitor and more.